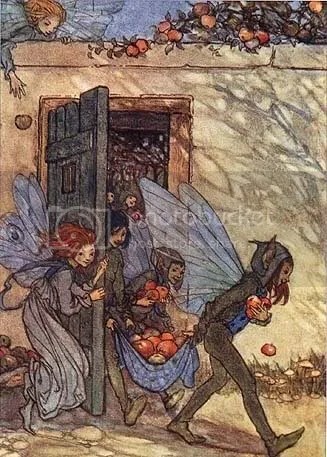 So…just what is Samhain? 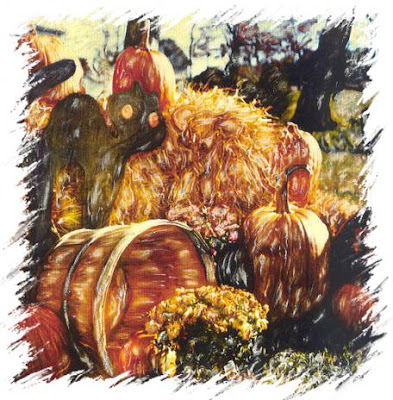 Do you know that is one of the oldest “end of the harvest celebration”. Samhaim is the “End of the Summer”, the final harvest and one of the “spirit nights”. A magical time when the Thin Veil between the worlds is lifted. Many Pagans believe this is a time when they can get in touch with their ancestors and loved one who has passed. It’s a time to honor the Dark Mother (Goddess, Crone) and the Dark Father (Horned Hunter, Lord of Death). Many, many moons ago Pagans used this time to store items that would get them through the long cold winter months. 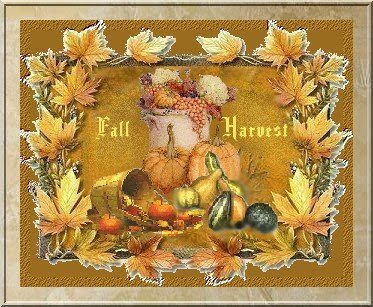 Livestock was slaughtered, crops were brought in off the fields, apples, pumpkins, gourds, turnips, nuts were gathered and stored. 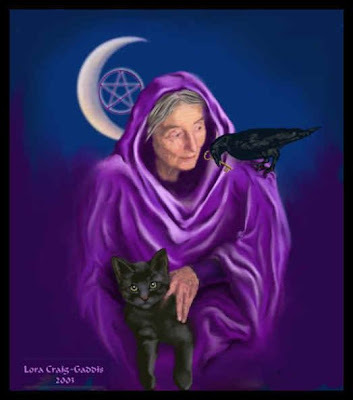 For Wiccans and Good Witches, Samhain is the New Year. A time to reflect, let go and look to the future. This is also the night that the Wee Ones ….would come out to play their mischievous tricks. 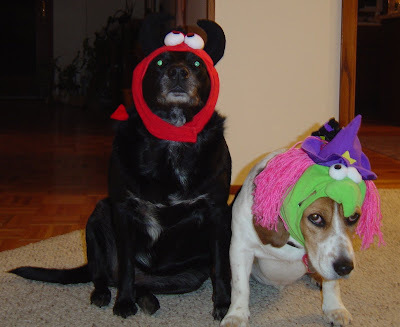 They would go from house to house, and if treats were not offered ….they would play tricks on the folks living in that house. Villagers would leave little food offerings such as sweets, milk, and fruit for the Wee Ones. The Wee Ones would accept these “treats” and would bless the home for the coming year. During the night, villagers would walk about carrying carved turnips filled with lite candles ….to light their way. The lanterns were called “Jack-o-Lantern”. Today, Halloween is mostly for the young and young-at-heart. Kids of all ages dress up and go from home-to-home “Trick O’ Treating“. 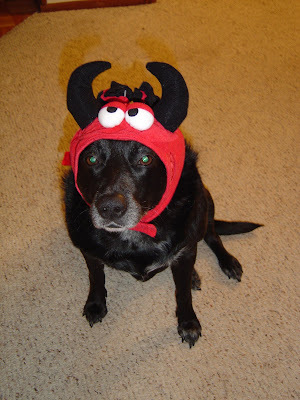 Even dogs …get to dress up! Here’s my girls! This is my Aussie Kelpie, Lucy Bear. 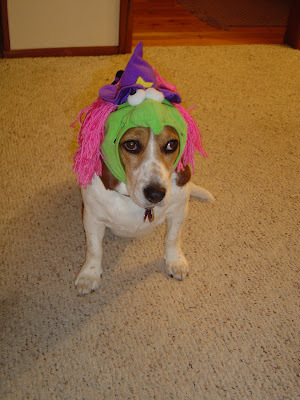 Course…they’re not too trilled with Mama for making them wear silly costumes. Even cows get into the Halloween act. She’s wearing a mask! BTW…why does the local Arctic Cat dealer have a huge fiberglass cow!? Here’s two teachers I work with, Mr Q and Posie. BOO! The scary part is that Mr. Q is NOT wearing a costume! Hey, Quick…ya know we all dig ya! Here’s mine, not too creative, but I got my message across. A friend gave me the t-shirt, it’s huge on me and the hat is too damm cute! It’s a little witch, broom and all. You can see her little feet on the side of the hat. Too damm cute! Here’s one of Posie and me. Is Posie cute or WHAT?! Do you dress up today? Did you have FUN!? Did you get any tricks? Or just treats? Wishing you a Happy Halloweeny!